Getting inked with various drawings on your body is undoubtedly, and entirely your call. 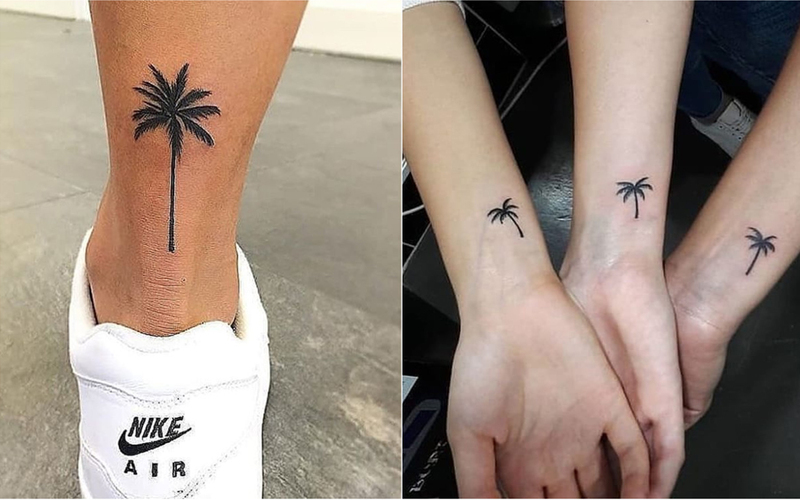 Tattoos are totally an in-thing and are trending these days. So if you see anybody inked entirely with some drawing, you know that’s the tattoo. With animals and gods and images and love, emojis and those quotes are complete things that are adored and wanted by the youngsters today. You will find them wearing a “Cupid” tattoo for their beloved, or you’ll find your neighbor with highly sensitive emotional values attached with their Gods or faith towards their religion; thus many will be seen wearing religious tattoos. While others do it just for some fun and fashion, mostly youngsters do it for fashion. But if you are a nature lover, you got to show it off – like people show off for their loved ones or even for the love of any other thing. 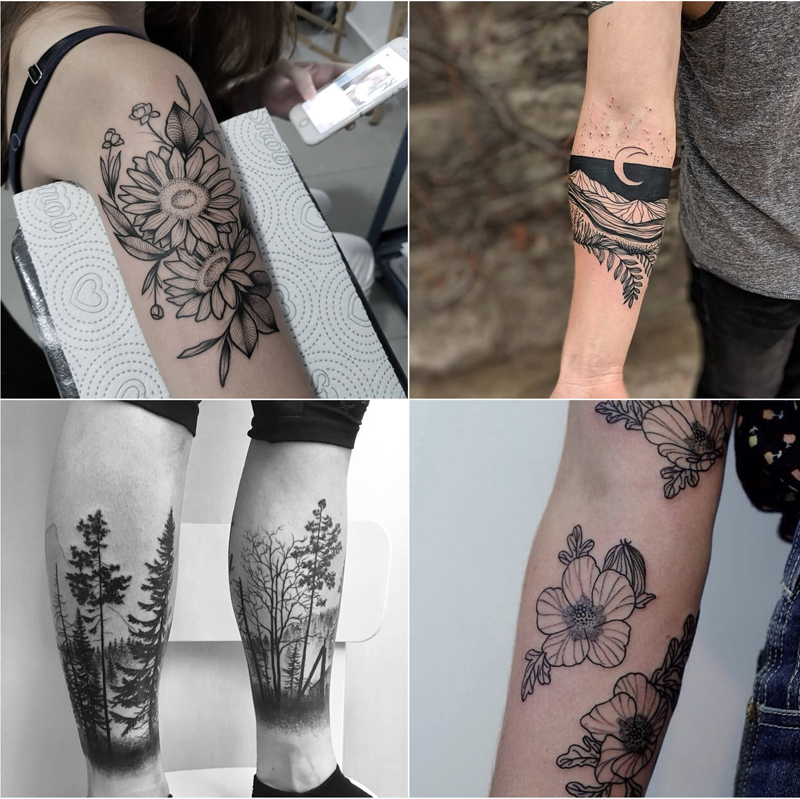 Show off your wish and your creative passion towards “Mother Nature” and get yourself inked with some of these super trendy nature images on your arms/forearms/belly/back/nape of your neck or anywhere else. 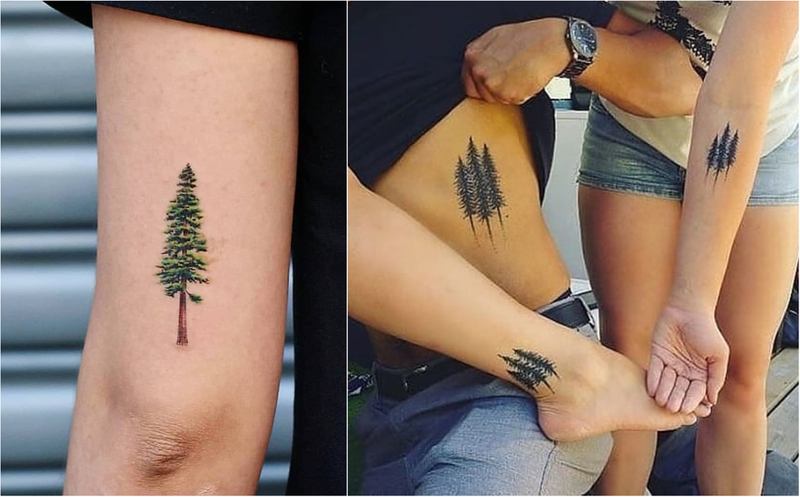 Nature tattoos designed by many tattooists only for those who love nature. Some get it inked to show their love and respect towards “nature” for giving us abundance. 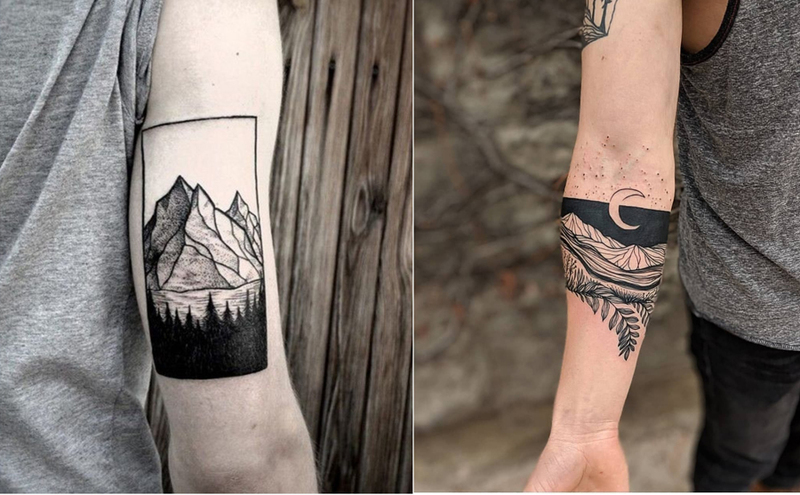 I can feel connected with those who ink themselves with awe-inspired tattoo designs for nature. 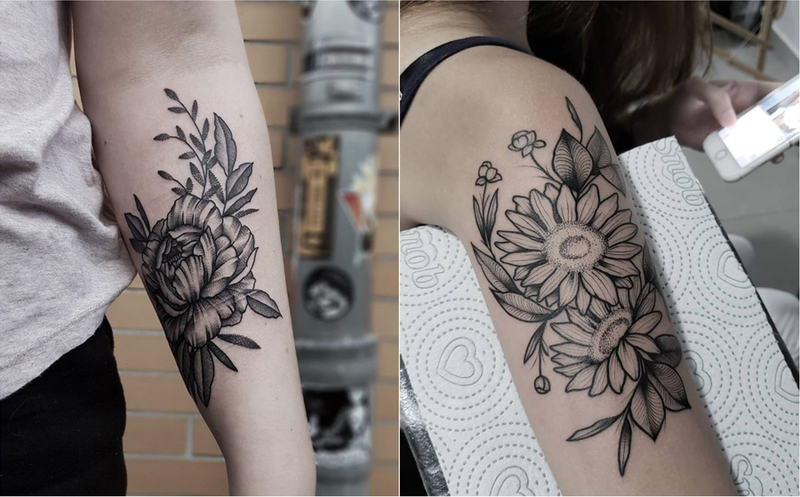 I love nature inspired tattoos too, as I feel this is also a way to express gratitude to Mother Nature for giving us an abundance of everything. 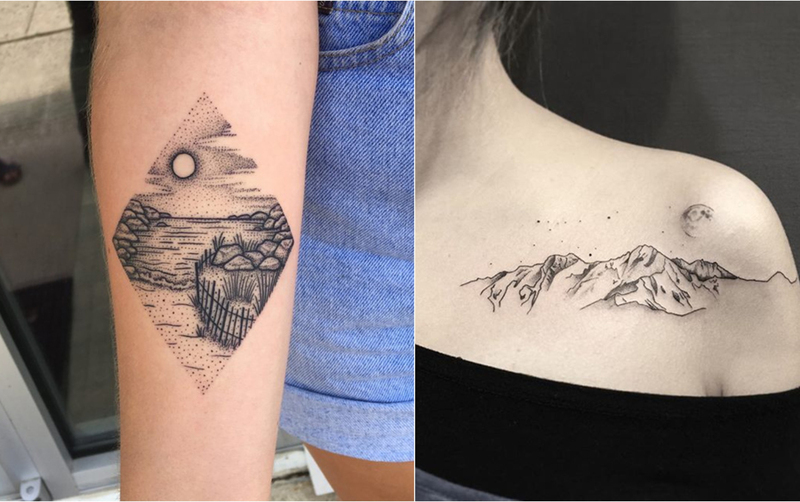 Here are some really cute and super cool transitions of nature inspiring tattoos for all nature lovers. Inspired tattoo designs for nature lovers depict all that they want, and all that others want to see. Here is a quick sneak-peak of some great, different and some amazing designs inspired by nature. 1. Cute leaves – These cute and small leaves denotes love for our very own and desirable spring season. Fallen leaves tell many things. 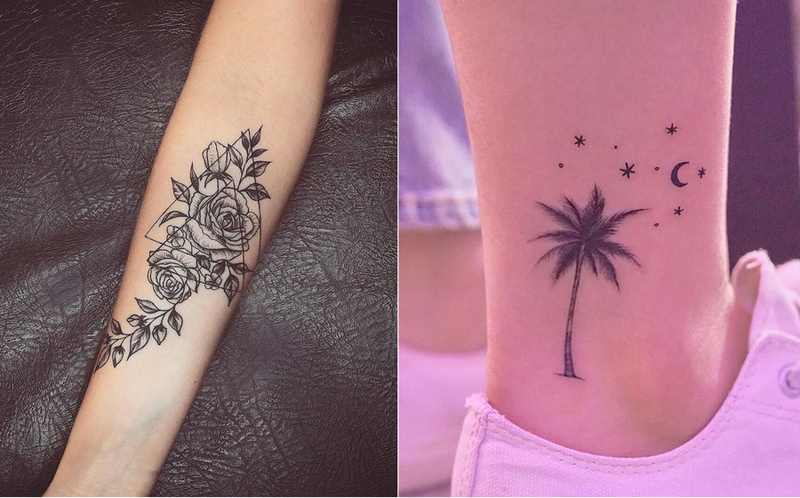 Get them inked on your arms as a bracelet or ink them on your shoulders. This will look super cool. 2. Trees – Take a look at the surroundings around you, the true beauty of nature. Between the forests and the flowers, there is so much to be inspired about. Those trees that give us oxygen to live is what is demanded by the nature lovers. The tattooists have various designs related to trees that inspire each one of us. Many are also seen getting quotes related to “save the trees” too scribbled on their body. 3. Planet love – The sun, the moon, and the earth; all are planets. Whatever fills our universe is something beyond our imagination. You can get inspired virtually. Look for designs related to the Universe, online. There are many. It’s a beautiful world out there, and the sky is the limit for the designs that you can choose from. Nature gives you a lot of tempting things which you can use as a brand new design. 4. 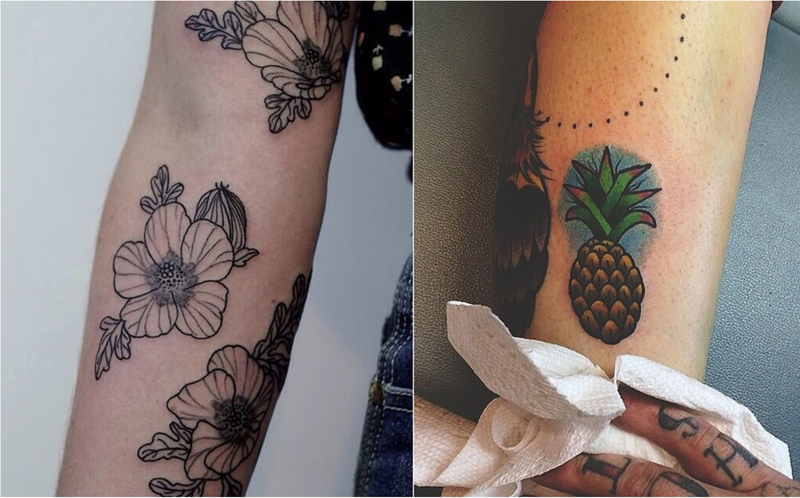 Love for flowers – Flowers is the most commonly asked designs for a tattoo for any girl. 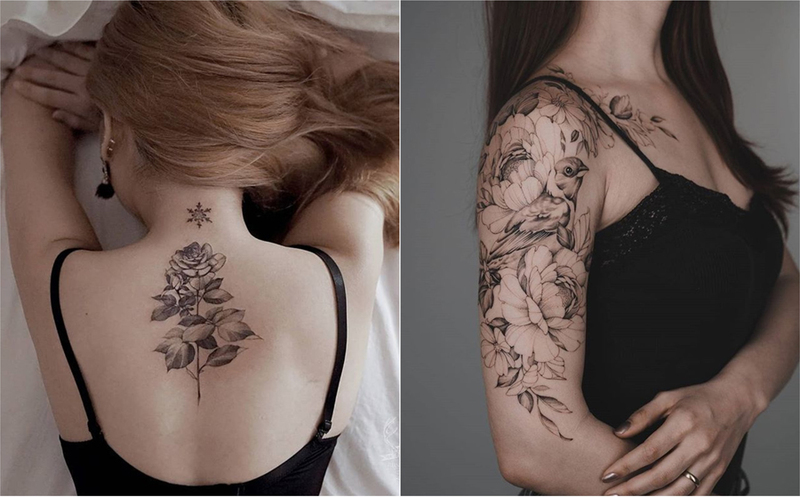 Those bunches of pretty red roses are something that every girl would like to get it inked. And why not, this reveals not only her side of love for nature but also her feminism and sensuality. For instance, a branch filled with flowers or fruits since it’s a sign of a new life. Those who want a long tattoo then this one is the best one. No need to look any further. 5. Geometric designs for nature – These designs are just newly launched by the tattooists. Have you ever seen any tree or flower drawn the geometric way? Ink yourself with these different and unique geometric designs that show nature and other things related to it in abundance. 6. The complete deal – Fill your arms or legs, or you’re back depicting and showcasing your overdose love for nature. 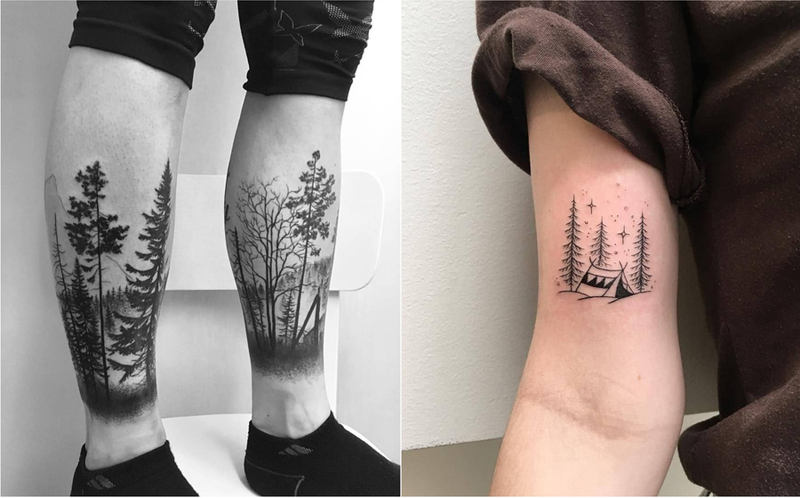 Sketches and drawings related to trees, waterfalls, forests and much more can be drawn widely on your arms or forearms or your back too. 7. The tree woman – This is an innovation in the era of designs inspired by nature. Tattooists are seen sketching a tree being born out of a woman. Something really unique! 8. The mountains and the plains – Gear up boys and show your love for adventure and trekking. Those mountains and plains can be seen mostly by adventure lovers and excursionists. 9. Those waterfalls and rivers – This depicts that you’re free-spirited and modern and you let things flow in their directions. Beautiful waterfall designs are seen either on the forearms or the shoulders even. 10. Miniatures and tiny designs of trees/flowers/fruits – If you are a minimal person and do not want anything to be overdone then try out this tree design. A tiny design that sits on the wrist is perfect for you. 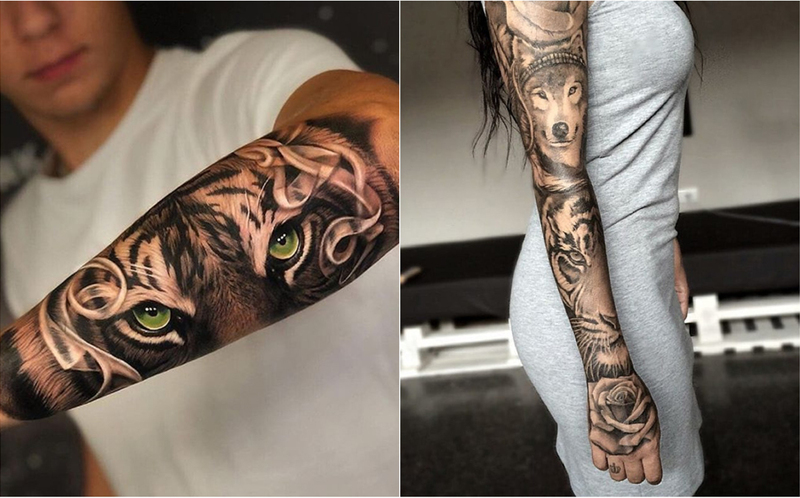 Besides this, the boys can go for the sleeve design with detailed trees and forests and flowers with some innovations are popular amongst all nature lovers/adventurists and of course tattoo lovers too. You can create any number of designs and show the world the love that you have for the nature around you.